Project Mercury was the first human spaceflight program of the United States. It ran from 1959 through 1963 with the goal of putting a human in orbit around the Earth. The Mercury-Atlas 6 flight on February 20, 1962, was the first American flight to achieve this goal. The program included 20 unmanned launches, followed by two suborbital and four orbital flights with astronaut pilots. Early planning and research were carried out by the National Advisory Committee for Aeronautics, but the program was officially conducted by its successor organization, NASA. Mercury laid the groundwork for Project Gemini and the follow-on Apollo moon-landing program. The project name came from Mercury, a Roman mythological god often seen as a symbol of speed. Mercury is also the name of the innermost planet of the Solar System, which moves faster than any other and hence provides an image of speed, although Project Mercury had no real connection to the planet. The Mercury program cost approximately $384 million, the equivalent of about $2.9 billion in 2010 dollars. The goals of the program were to orbit a manned spacecraft around Earth, investigate the pilot's ability to function in space and to recover both pilot and spacecraft safely. NASA also established program guidelines: existing technology and off-the-shelf equipment should be used wherever practical, the simplest and most reliable approach to system design would be followed, an existing launch vehicle would be employed to place the spacecraft into orbit, and use of a progressive and logical test program. Project requirements for the spacecraft were that it must be fitted with a reliable launch escape system to separate the spacecraft and its crewman from the launch vehicle in case of impending failure, the pilot must be given the capability of manually controlling spacecraft attitude, the spacecraft must carry a retrorocket system capable of reliably providing the necessary impulse to bring the spacecraft out of orbit, a zero-lift body utilizing drag braking would be used for reentry, and that the spacecraft design must satisfy the requirements for a water landing. On October 7, 1958, T. Keith Glennan, the first administrator of NASA, approved the Mercury project. On December 17 Glennan announced Project Mercury publicly. On December 29, 1958 North American Aviation was awarded a contract to design and build Little Joe boosters for mercury launch escape system test flights. In January 1959 McDonnell Aircraft Corporation was chosen to be prime contractor for the Mercury spacecraft, and the contract for 12 spacecraft was awarded in February. In April seven astronauts, known as the Mercury Seven or more formally as Astronaut Group 1, were selected to participate in the Mercury program. In May 1959 North American Aviation delivered the first two Little Joe boosters, and in June the Big Joe booster was delivered. In July the planned use of Jupiter boosters was canceled in favor of Redstone boosters for suborbital flights. In October General Electric delivered to McDonnell the ablative heat shield designated for installation on the first Mercury spacecraft. In December the launch vehicle for Mercury-Redstone 1 was ready to begin static tests installed on a test stand at ABMA. 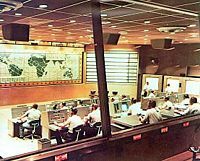 In January 1960 NASA awarded Western Electric Company a contract for the Mercury tracking network. The value of the contract was over $33 million. Also in January, McDonnell delivered the first production-type Mercury spacecraft, less than a year after award of the formal contract. On February 12, Christopher C. Kraft, Jr. was appointed to head the Mercury operations coordination group. Kraft was asked to, "come up with a basic mission plan. You know, the bottom-line stuff on how we fly a man from a launch pad into space and back again. It would be good if you kept him alive." In April, the first spacecraft was delivered to Wallops Island for the beach-abort test. The test was completed successfully on May 9. Because of their small size, it was said that the Mercury spacecraft were worn, not ridden. With 1.7 m� of habitable volume, the spacecraft was just large enough for the single crew member. Inside were 120 controls: 55 electrical switches, 30 fuses and 35 mechanical levers. The spacecraft was designed by Max Faget and NASA's Space Task Group. Despite the astronauts' test pilot experience NASA at first envisioned them as "minor participants" during their flights, causing many conflicts between the astronauts and engineers during the spacecraft's design. Nonetheless, contrary to other reports, the project's leaders always intended for pilots to be able to control their spacecraft, as they valued humans' ability to contribute to missions' success. John Glenn's manual attitude adjustments during the first orbital flight were an example of the value of such control. The astronauts requested-and received-a larger window and manual reentry controls. 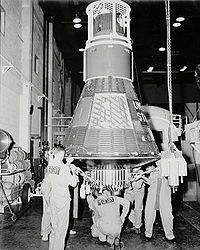 During the launch phase of the mission, the Mercury spacecraft and astronaut were protected from launch vehicle failures by the Launch Escape System. 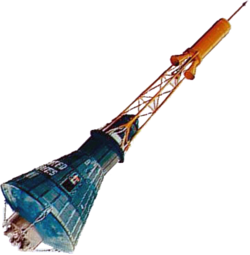 The LES consisted of a solid fuel, 52,000 lbf (231 kN) thrust rocket with three engine bells mounted on a tower above the spacecraft. In the event of a launch abort, the LES would fire for one second, pulling the spacecraft and astronaut away from the booster and a possible explosion. The spacecraft would then descend on its parachute recovery system. After booster engine cutoff (BECO), the LES was no longer needed and was separated from the spacecraft by a solid fuel, 800 lbf (3.6 kN) thrust jettison rocket that fired for 1.5 seconds. After a successful liftoff, the spacecraft fired three small clustered solid-fuel, 400 lbf (1.8 kN) thrust rockets for 1 second to separate the spacecraft from the launch vehicle. These rockets were called the posigrade rockets. The spacecraft were only equipped with attitude control thrusters; after orbit insertion but before retrofire they could not change their orbit. There were three sets of high and low powered automatic control jets and separate manual jets, one for each axis (yaw, pitch, and roll), and supplied from two separate fuel tanks, one automatic and one manual. The pilot could use any one of the three thruster systems and fuel them from either of the two fuel tanks to provide spacecraft attitude control. The Mercury spacecraft was designed to be completely controllable from the ground in the event that something impaired the pilot's ability to function. The spacecraft had three solid-fuel, 1000 lbf (4.5 kN) thrust retrorockets that fired for 10 seconds each. One was sufficient to return the spacecraft to Earth if the other two failed. The firing sequence (known as ripple firing) required firing the first retro, followed by the second retro five seconds later (while the first was still firing). Five seconds after that, the third retro fired (while the second retro was still firing). There was a small hinged metal flap at the nose of the spacecraft called the spoiler. If the spacecraft started to reenter nose first (another stable reentry attitude for the spacecraft), airflow over the spoiler would flip the spacecraft around to the proper, heatshield-first reentry attitude, a technique called shuttlecocking. During reentry, the astronaut would experience about 8 g-forces on an orbital mission, and 11-12 gs on a suborbital mission. Initial designs for the spacecraft suggested the use of either beryllium heat-sink heat shields or an ablative shield. 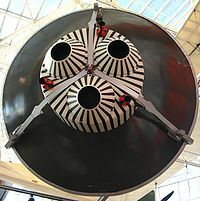 Extensive testing settled the issue - ablative shields proved to be reliable (so much so that the initial shield thickness was safely reduced, allowing a lower total spacecraft weight), and were easier to produce - at that time, beryllium was only produced in sufficient quantities by a single company in the U.S. - and cheaper. NASA ordered 20 production spacecraft, numbered 1 through 20, from McDonnell Aircraft Company, St. Louis, Missouri. Five of the 20, Nos. 10, 12, 15, 17, and 19, were not flown. Spacecraft No. 3 and No. 4 were destroyed during unmanned test flights. Spacecraft No. 11 sank and was recovered from the bottom of the Atlantic Ocean after 38 years. Some spacecraft were modified after initial production (refurbished after launch abort, modified for longer missions, etc.) and received a letter designation after their number, examples 2B, 15B. Some spacecraft were modified twice; for example, spacecraft 15 became 15A and then 15B. A number of Mercury Boilerplate spacecraft (including mockup/prototype/replica spacecrafts, made from non-flight materials or lacking production spacecraft systems and/or hardware) were also made by NASA and McDonnell Aircraft. They were designed and used to test spacecraft recovery systems, and escape tower and rocket motors. Formal tests were done on test pad at Langley and at Wallops Island using the Little Joe and Big Joe rockets. Little Joe - eight suborbital robotic flights, two carrying monkeys. Launch escape system tests. Redstone - four suborbital robotic flights, one carrying a chimpanzee; two piloted suborbital flights. Atlas - four suborbital robotic flights; two orbital robotic flights, one carrying a chimpanzee; four piloted orbital flights. Little Joe and a Mercury boilerplate were used to test the escape tower and abort procedures. Redstone was used for suborbital flights, and Atlas for orbital ones. Starting in October, 1958, Jupiter missiles were also considered as suborbital launch vehicles for the Mercury program, but were cut from the program in July 1959 due to budget constraints. The Atlas boosters required extra strengthening in order to handle the increased weight of the Mercury spacecraft beyond that of the nuclear warheads they were designed to carry. Little Joe was a solid-propellant booster designed specially for the Mercury program. The Titan missile was also considered for use for later Mercury missions; however, the Mercury program was terminated before these missions were flown. 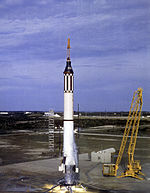 The Titan was used for the Gemini program which followed Mercury. The Mercury program used a Scout booster for a single flight, Mercury-Scout 1, which intended to launch a small satellite designed to evaluate the worldwide Mercury Tracking Network. The rocket was destroyed by the Range Safety Officer after 44 seconds of flight. Sam, a Rhesus macaque, launched 4 December 1959 on Little Joe 2 to 85 km altitude. Miss Sam, a Rhesus macaque, launched 21 January 1960 on Little Joe 1B to 15 km altitude. Ham, a chimpanzee, launched 31 January 1961 on Mercury-Redstone 2 for a suborbital flight. Enos, a chimpanzee, launched 29 November 1961 on Mercury-Atlas 5 for a 2-orbit flight. 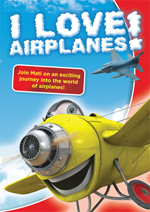 The first Americans to venture into space were drawn from a group of 110 military pilots chosen for their flight test experience and because they met certain physical requirements. 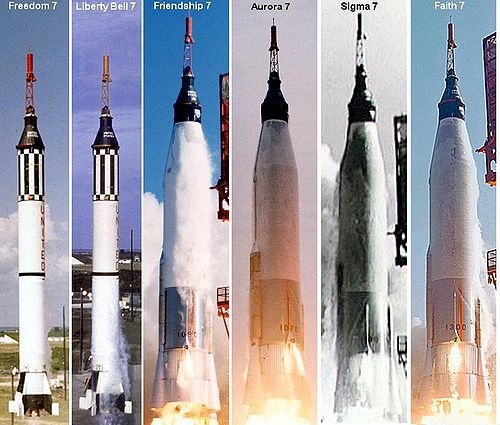 NASA announced the selection of seven of these - known as the Mercury Seven - as astronauts on 9 April 1959, though only six of the seven flew Mercury missions, after Slayton was grounded due to a heart condition. Picture - Wernher von Braun and astronaut Gordon Cooper in the blockhouse during MR-3 recovery operations May 5, 1961. Donald Kent "Deke" Slayton, USAF (1924-1993); grounded in 1962 due to irregular heartbeat, reinstated in 1972 and flew on the Apollo-Soyuz Test Project in 1975. Beginning with Alan Shepard's Freedom 7 flight, the astronauts named their own spacecraft, and all added "7" to the name to acknowledge the teamwork of their fellow astronauts. Flight patches that purport to be patches from various Mercury missions are available to the public. In reality, these patches were designed by private entrepreneurs several years after the Mercury program. When mission patches were created by crews in the Gemini program, this caused a public demand for Mercury flight patches, which was filled by these entrepreneurs. The only patches the Mercury astronauts wore, however, were the NASA logo and a name tag. Each manned Mercury spacecraft was decorated with a flight insignia featuring the spacecraft name (Freedom 7, etc.). In 1962, the US Post Office honored the Mercury-Atlas 6 flight with the Project Mercury commemorative stamp, the first U.S. postal issue to depict a manned spacecraft. The stamp first went on sale in Cape Canaveral, Florida on February 20, 1962, the same day as the Project Mercury launch putting the first U.S. astronaut into orbit. Chris Kraft, Flight: My Life in Mission Control (March 2001). 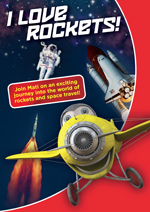 Factual, written by one of the pivotal figures in America's space programme, whose involvement ran from the early days of NACA through the formation of NASA, Mercury, Gemini, Apollo, ASTP, Skylab and the early days of Shuttle operations. 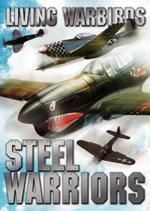 Hardcover, 371 pages, ISBN 0-525-94571-7 or paperback (2002) ISBN 0-452-28304-3. Tom Wolfe, The Right Stuff. (Wolfe interviewed many of those involved). Schirra, Grissom, Glenn, Slayton, Shepherd, Carpenter, Cooper, We Seven. (ISBN B00005X54G); Simon & Schuster - 1962. Factual; a collection of articles written by the seven Mercury astronauts describing events from their points of view. Francis French and Colin Burgess, Into That Silent Sea:Trailblazers of the Space Era 1961-1965. 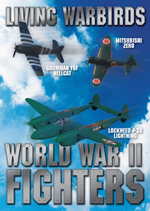 ISBN 978-0-8032-1146-9. History of the Mercury program with many unique first-hand interviews with the participants. Project Mercury Pictures and Project Mercury for Sale.